A section of Kenyans online are convinced that music video director J Blessing is the father of Avril’s baby. For months leading to Avril’s delivery last year, the big question has been who’s the lucky man in the singer’s life. 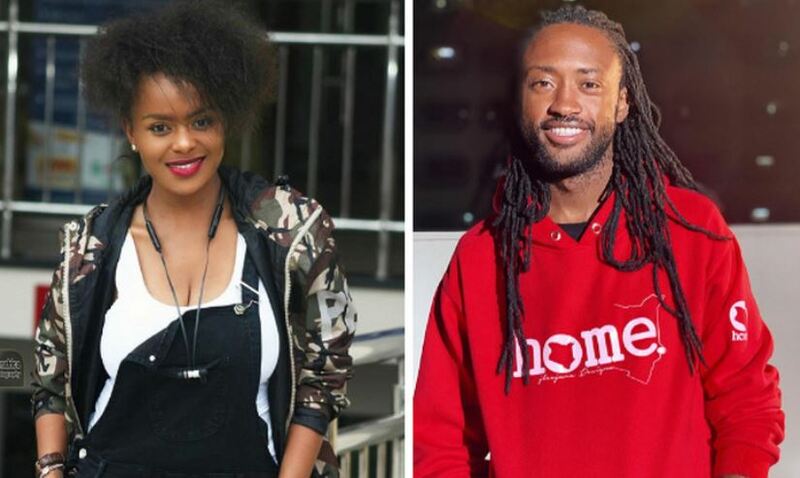 J Blessing has turned out to be the main and only ‘suspect’ almost one year after the arrival of Avril’s bundle of joy. Avril and J Blessing have also not made things any easier by declining to confirm or deny the speculation. In a TV interview last October, Avril was asked if the father of her son is J Blessing but she declined to disclose. “If at any one point in time I’ll feel like talking about the father of my child I will but at this particular time, I don’t think it’s necessary. But if J Blessing comes for an interview ask him that question,” she said. And now, Avril, who seems to be enjoying toying with people’s curiosity, has raised eyebrows about her relationship with the producer. The ‘Nikimuona’ singer took to Instagram Sunday to pen a telling birthday message addressed to J Blessing. “It’s already midnight your time so we’ll start the celebrations a bit early here as well. Happy birthday J. You walked into my life with a bucket filled with magic, thank you for sharing it, year in, year out. Thank you for the courage you have instilled in me to do the amazing work we keep doing. Have an amazing year ahead. #DirectorExtraordinaire #AwesomeHumanBeing #Blessing #KeepSmiling,” wrote Avril. In the comments section of Avril’s post, fans bemoaned the confusion caused by the songbird. “Caption imeisha?? Wambea tunapata taabu.🙈🙈😂😂😂,” one wrote.